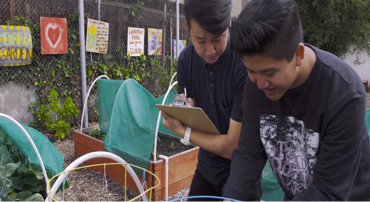 What happens when you combine WE’s year-round service learning program with the College Board’s Advanced Placement® Program? The chance for teachers and students to apply classroom learning to real-world situations and discover their power to change the world! Made possible through an exclusive partnership between the College Board and WE, AP with WE Service is a program that offers AP teachers the opportunity to incorporate service learning into their existing AP courses. We are excited to announce that AP with WE Service is now available in ALL AP Courses! After opting in to the program, teachers will select from one of two curriculum modules that have been thoughtfully developed by the College Board, WE, and active AP teachers to align with the AP Course Framework, as well as enable teachers and students to examine and engage with relevant coursework through both a local and global context. Upon successful completion of program requirements, students can earn a recognition on their AP Score Report, as well as their high school transcript. The College Board and WE share a passion for enriching students’ learning experiences and developing well-rounded citizens. 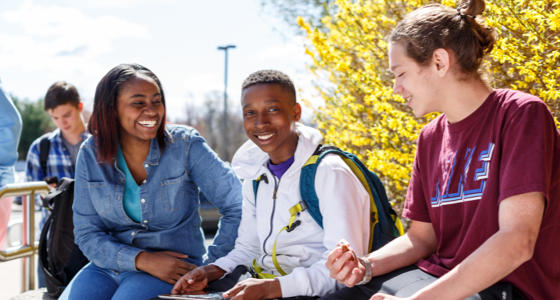 By combining the academic challenge and rigor of AP® with WE’s Learning Framework, AP® with WE Service creates an opportunity for students to consider their classroom work and how it applies to real-world topics, while working closely with their peers to address relevant needs in their local, national, and global communities. While service learning does involve performing service, it is based on a structured academic foundation. To learn more about the impacts of service learning, see Best Practices and Effectiveness of Service Learning, a compilation of research by Shelley K. White, PhD, MPH, Assistant Professor of Sociology, Director, Master of Public Health Program, Simmons College (formerly Worcester State University) and Jonathan M. White, PhD, Associate Professor of Sociology, Director, Service Learning Center, Bentley University. Service learning engages teachers and students with their community in a structured way that allows for students to meet their learning objectives, while community needs are addressed through the service work that students carry out. The Best Practices and Effectiveness of Service Learning research shares the long-term benefits and outcomes for students that service learning offers as a pedagogy. Learn more about best practices and effectiveness of service learning by downloading the research below. You can get your school involved outside of your AP with WE Service classroom. Our We Schools program can be used as a supplemental or extracurricular resource for middle and high school teachers and students. The WE Schools program is designed to help students become leaders in their local and global communities. Learn more about WE Schools and get your school involved outside of your AP with WE Service classroom.